Technology has not made kids meaner but it has provided them with new weapons to inflict more severe and lasting damage on each other. And while greater vigilance by schools and stiffer penalties for bullies may reduce unkind behavior, more is needed to protect young people from each other. Hard as we may try, we can’t insulate children from all negative interactions with their peers, excessive pressure to succeed, debilitating self-doubt, or feelings of alienation. We can, however, help them develop emotional resilience, the inner strength to prevent or purge toxic feelings. 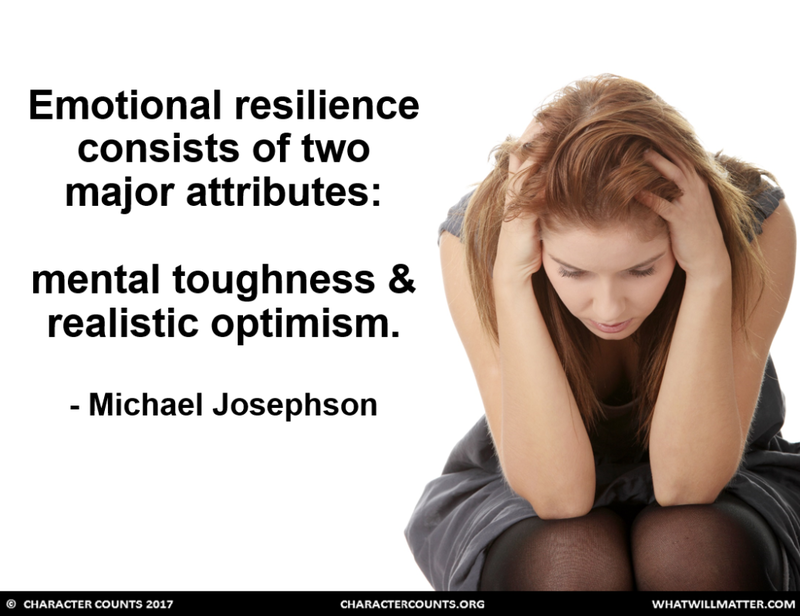 Emotional resilience consists of two major attributes: mental toughness and realistic optimism. Mental toughness is the ability to handle problems and pressures without panic or surrender. It’s the ability to overcome negative emotions and to rebound from disappointment, disruptive change, illness, or misfortune without being overwhelmed or acting in dysfunctional ways. Through discussions, simulations and counseling, we can teach kids how to discount or ignore hurtful words, to lose without being defeated, to fail and not become failures, and to deal with rejection without becoming hopelessly dejected.